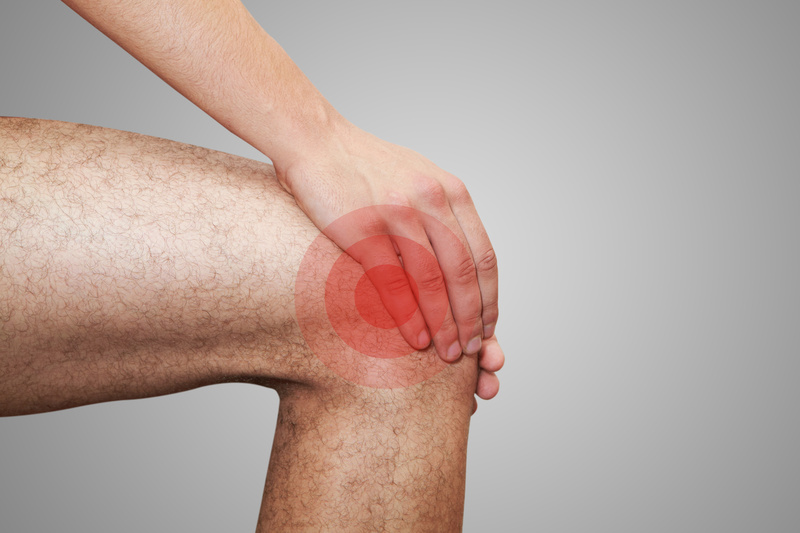 Check if you knee is swollen or larger than normal. If you can’t immediately tell, sometimes it’s helpful to push lightly on your injured knee with your finger and then push in the same spot on your healthy knee and feel for differences. If the injured knee is much softer, it is likely that you have swelling and should consider applying ice and/or using an anti-inflamatory like ibuprofen. If you are unable to straigten your knee or are experiencing “locking” of the knee, you need to go see a doctor. There is no home soluation that is going to remedy this. If you have a fever in addition to any of the above symptoms, you should go see your doctor immediately as the knee pain may be a symptom of something more serious.